Critter Control® of Orlando knows that time is of the essence when marketing and selling real estate. Like you and your clients, we don’t want a home’s listing to be delayed because of a pest infestation, and we don’t want a closing delayed because of odor or droppings in an attic space. Contact Critter Control® today by completing the form or calling 407-603-9191 for more information on partnership opportunities. Plus, you can receive free home inspections for each of your listings. 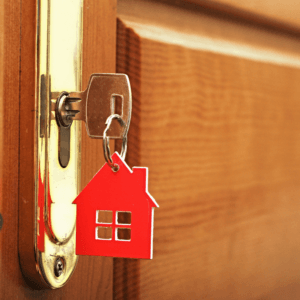 The accomplishment and peace of mind your client feels after purchasing a new home can be overridden with frustration if their home becomes infested with pests. Our monthly Eco-Wise pest control services are customized for each home and use advanced environmentally friendly techniques so clients can feel secure in their new home. With happy clients come recommendations and repeat services. Our timely, efficient, and expert services will resolve your client’s issues. Realtors all over Central Florida have entrusted Critter Control® of Orlando with their customers, and we hope you will too. Call 407-603-9191 to learn more.